Explain the importance of segmentation in a successful email marketing campaign. List common ways to segment subscribers. “Right message, right person, right time” is the email marketers’ mantra. And by segmenting your audiences, you can ensure you get the right message to the right person. As a marketer, you have data. You can have a lot or you can have a little, but no matter how much you have, you can always start segmenting your audiences. 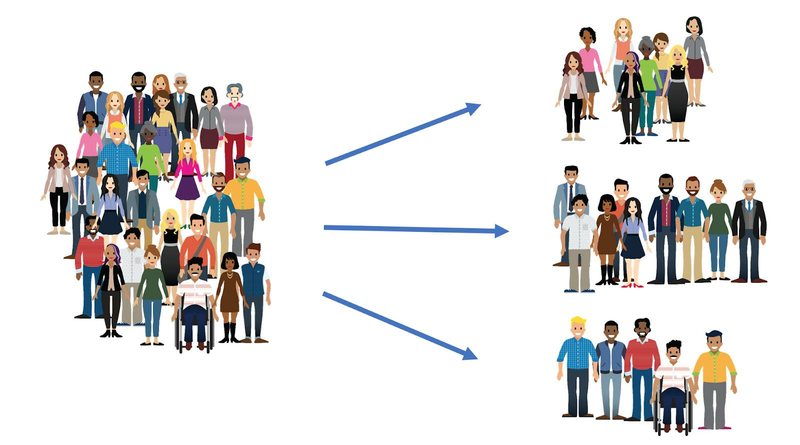 But what exactly is segmentation? Ahh, we’re glad you asked. Segmentation is the slicing and dicing of your subscriber lists so that you can target individuals with specific, relevant, and timely messages—messages that stand out in in-boxes and grab your customers’ attention. In a report on connected customers, Salesforce found that some 63% of millennials, 58% of Gen Xers, and 46% of baby boomers are willing to share personal information with companies if they get personalized offers or discounts in return. Collecting data isn’t a one-way street. There’s an element of give-and-take in which marketers have a key role to play. Customers expect content to be tailored to their exact needs. So what happens when email content, for example, isn’t personalized? For starters, 52% of customers say they find somewhere else to go. That may seem unfair and disappointing, but the marketing landscape is no longer in the hands of marketers. It’s filled with and influenced by customers who thrive on technology and who use it to find companies that fit their needs. What’s even more striking is that only 23% of marketers say they feel extremely satisfied with their ability to use their customer data to create more relevant experiences. Clearly, they need a way to do better. But before you start segmenting, you may be wondering, does it work? Yet, remarkably, a lot of companies don’t do it. If you aren’t, there are a ton of reasons why it’s time to start. With Marketing Cloud, the criteria you can use to segment your audience is virtually endless. Here are some common ways that companies segment their data. Interests: What interests have your subscribers indicated in their profiles? Behavior: What are your subscribers viewing or clicking on? Purchase history: What did they recently buy? What have they left in their shopping carts? Point-of-sale: Are your customers buying in the store, online, or both? Communication preferences: Do they prefer email, social media, mobile messaging, ads, or some combination? Subscriber status: Are they new subscribers? Are they consistently viewing and buying? Have they become inactive recently or been inactive for a long time? Previous email interactions: Have they opened your emails? Clicked links in the emails? What time of day did they do it? You may want to consider segmenting your audiences based on predictive intelligence, also called machine learning. This is the idea that you can use patterns in data to predict what your subscribers are likely to do and segment them based on that, rather than focusing solely on what your subscribers have done in the past. Segmenting in this way offers unique benefits. You can achieve more sophisticated segmentation. You can get the benefit of insightful data analysis without having to hire data analysts, and you can minimize waste and achieve a better return on investment, because you can predict effective messaging without necessarily having to test it ahead of time. What’s important to remember is, you can’t do audience segmentation with—or identify patterns in—data that you don’t collect. So, collect, collect, collect! The more information you gather, the more opportunity you have to tailor your messages so they are just right. But don’t let a lack of data stop you from getting started. Even a data point as simple as geography is a good place to start. Here are some good questions to ask yourself as you get further into audience segmentation. Can you contact the segment through your marketing efforts? Are the people in the segment likely to respond? Is your return likely to be worth the investment? Does your segmentation align to the values and goals of your company or product? Finally, make sure you continuously measure the effectiveness of the segments you choose with engagement metrics including open rate, click rate, conversion rate, and unsubscribes or opt-outs. So now you’ve got the basics of audience segmentation. Let’s move on to data organization.